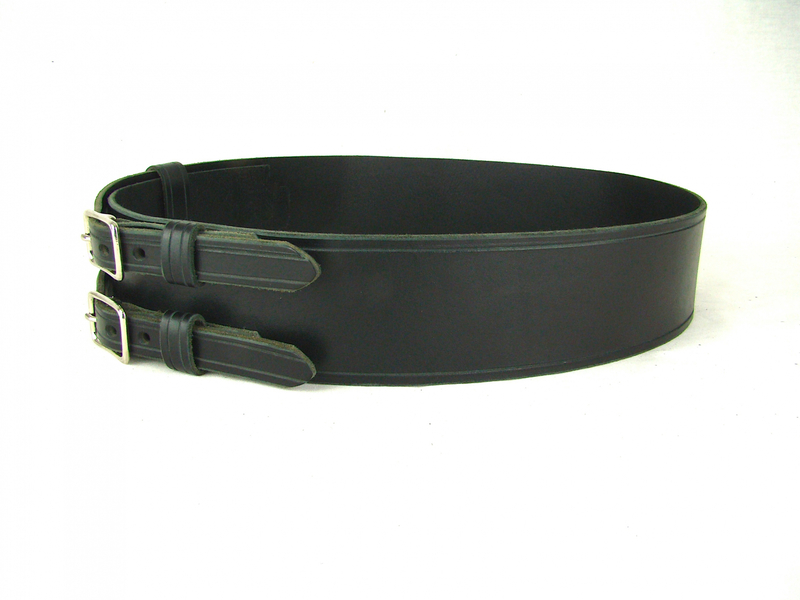 Kilt Belt Double Buckle Black | Holy Heck U.S.A. 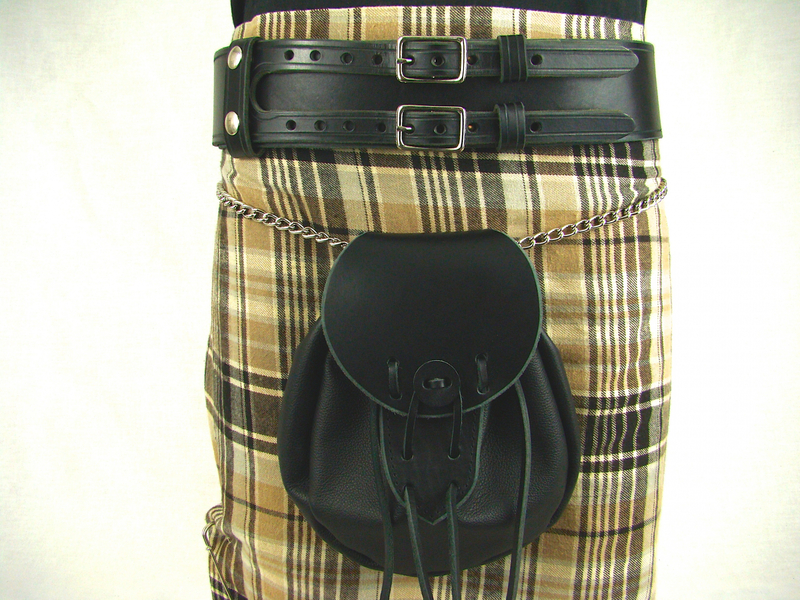 This kilt belt is our most popular double buckle kilt belt! 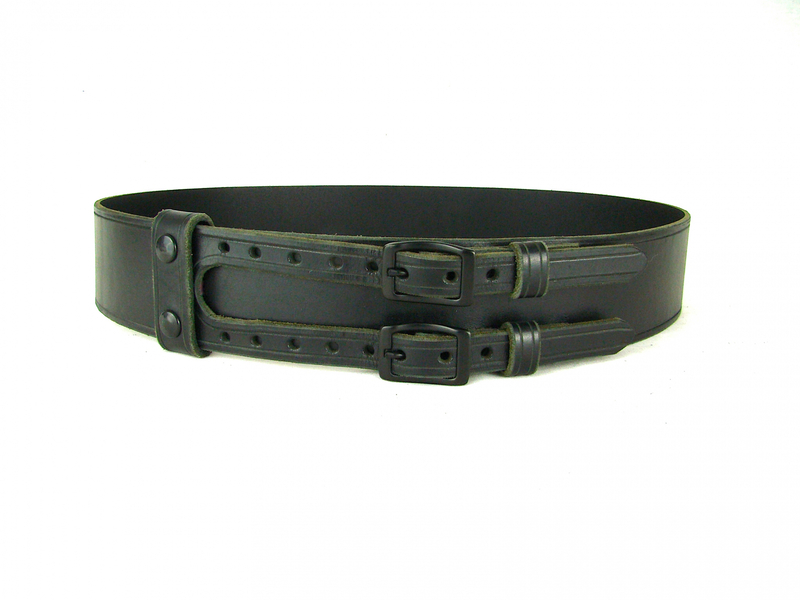 Measuring in at 2 1/2 inches wide, this double buckle kilt belt is sure to make heads turn. 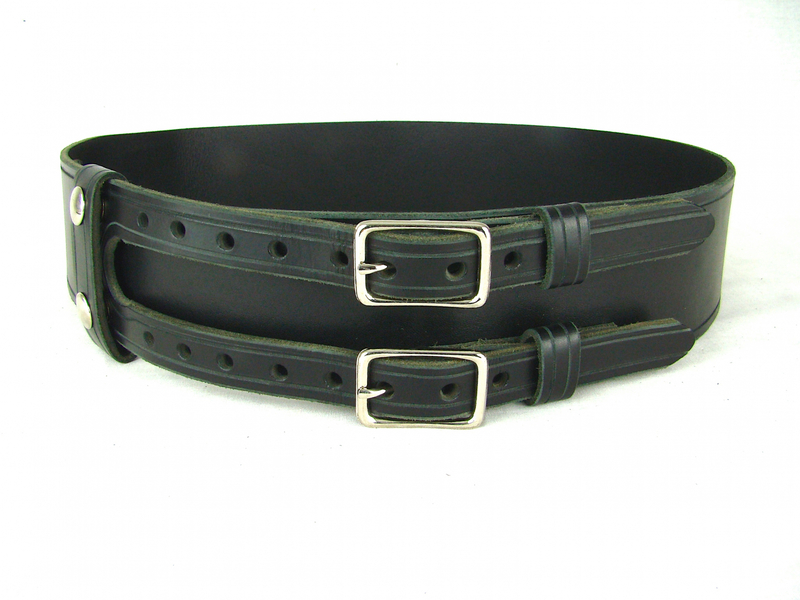 Handmade with full grain 9/10 ounce leather, this awesome kilt belt comes in a beautiful black with your choice of nickel, black or brass hardware. 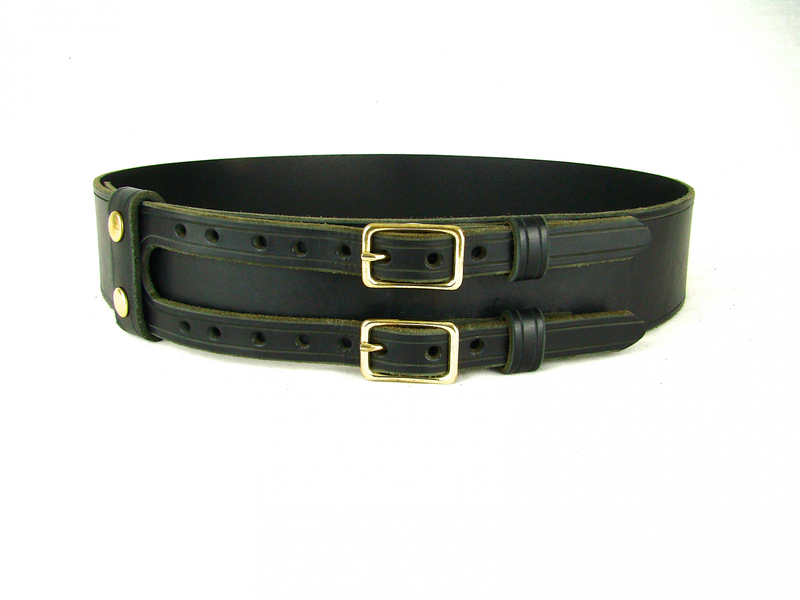 Individually handmade with meticulous attention to all the details, this stylish double buckle kilt belt is the perfect addition to your kilt! Rob Roy Sporran sold separately here. Sporran Belt with Chain sold separately here.